Ski Boots or Rock Shoes? A journey toward the IFMGA. 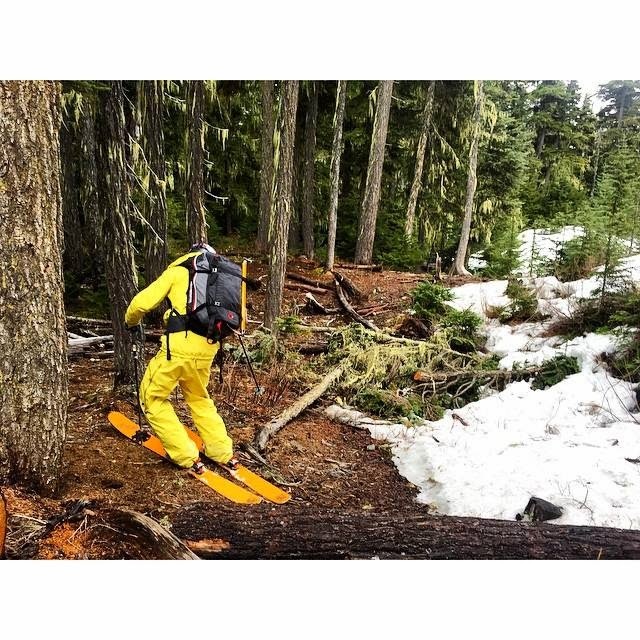 As many of you throughout the country are transitioning from winter to spring, trading ski boots and ice axes for rock shoes and crash pads. 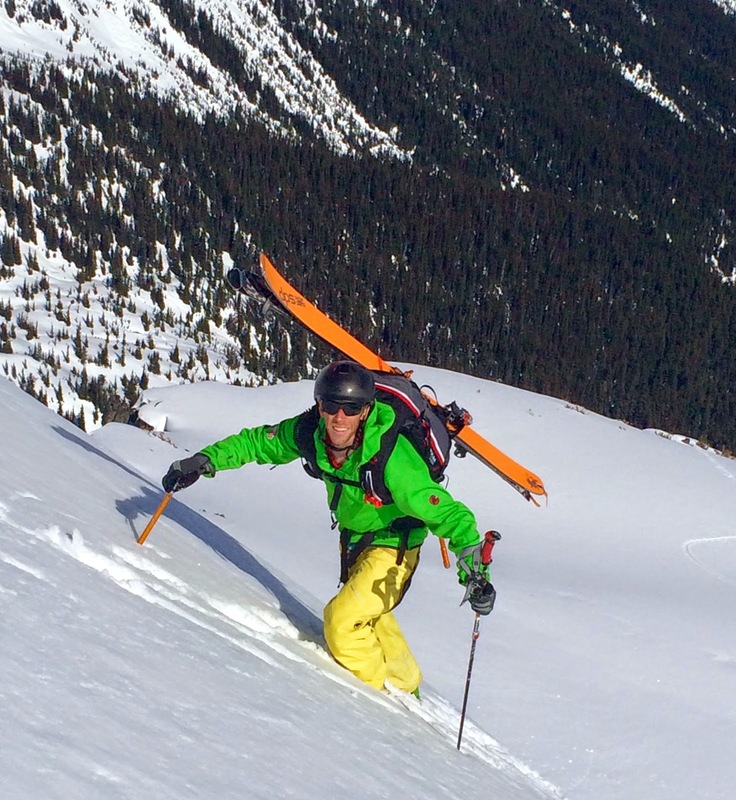 I had the pleasure of extending my season and continuing my guide education in Pemberton British Columbia on the American Mountain Guides Association Ski Exam. 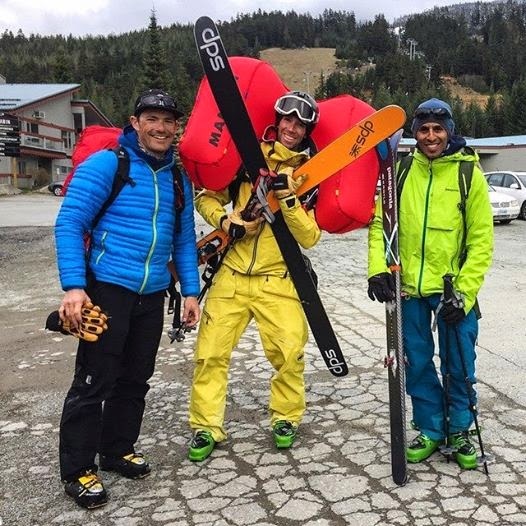 The Ski Exam is the eight day culmination of the ski track and candidates are assessed and certified at the IFMGA standard in addition to furthering our general education. 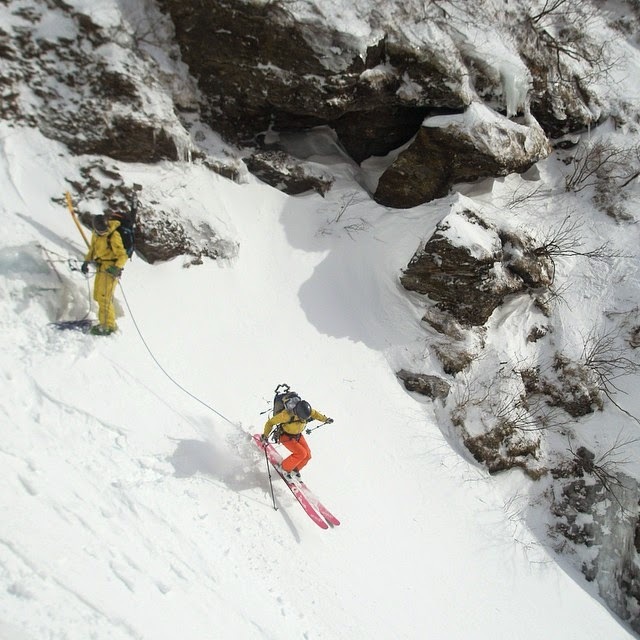 Candidates come to the exam with a large amount experience, not to mention all the course work including a 12-day Ski Guide Course, 10-day Advanced Ski Guide Course and Aspirant Exam, a 4-day AIARE Level II, and a 5-day AIARE Level III. That’s 31 days of professional development not to mention in house guide trainings, personal training days and days with actual clients. Gear I couldn't live with out; P.A.S Pro Airbag pack, Barryvox pulse, Fast lock probes, Ultimate Hoody softshell jacket, Alyeska GTX Pro jacket and most importantly the Alyeska GTX Pro Realization pant. Having the built in harness worked amazing for everything from quick rappels to crevasse rescue. Being a skier with a “climbing problem” I naturally jumped into the AMGA guide track at the Ski Guide Course all the way back in 2006 and it started me down this rabbit hole of guiding life. I remember that course in Jackson Hole to be rather humbling, allowed me to meet a few of my childhood ski heroes like Doug Coombs, made me realize how much I still needed to learn, and inspired me to start stepping out into bigger terrain. A jaunt through South America, several Alaska trips that kind of defined my twenties, and the creation of the Petra Cliffs Mountaineering School Ski Program made me feel ready to move into the Advanced Ski Guide Course and Aspirant Exam in 2009. It was my first experience with the exam process and to say it went well would be a lie. I did pass, with a few marks, and the exam shone a spot light on every deficit I had as a mountain guide. It was the catalyst for me pausing my ski track progress and focusing on the Alpine and Rock guide tracks to fill in the blanks. I took one or two AMGA Courses/Aspirant Exams a year until Fall of 2013 when I ran out of coursework and passed my last Aspirant Exam to become an IFMGA Aspirant guide. Feeling much more fit, mentally strong and committed to the cause more than ever, I took my first full exam last Fall in Red Rock Canyon, NV, and got most of my “bumbles” out and came to a simple realization: “Guide how you would on any normal day with real clients.” Once I committed to that idea much of the exam stress was lifted, I was going to either pass for doing what I did on a daily basis- or not- and would have yet another learning opportunity to better myself as a guide. Turns out I passed my first exam and am now an AMGA Certified Rock Guide. Steve and Andrea Charest Ski Mountaineering Prep in VT on Hidden Gully WI3. Luckily the mountain gods smiled upon us and we had increasingly splitter weather, drastically improved stability and plenty of cold north facing powder to have an epic exam. During the first four days we took advantage of our brief weather window and went huge getting major objectives every day. Utilizing the lifts or heli allowed us to make the most of our time in the alpine, but we were also a hardy crew and endured our multi-hour mud hikes in ski boots down snowless summer hiking trails. When the weather finally turned and a huge storm with high winds came it offered a welcome rest and opportunity to get our skills testing in by completing the crevasse rescue drill and teaching classroom lessons. One final full whiteout/considerable avalanche hazard touring day and we navigated our way to the end of the exam. I am pleased to have passed my Ski Exam and I am now an AMGA Certified Ski Guide. That said, there is no rest for the wicked, and I am a glutton for more punishment: I have applied for my final exam in the Alpine discipline. Stay tuned and follow my preparation for this final step towards my IFMGA goal. Thanks to all that helped get me here! none of this would have ever been possible with out the love and support from so many of you!